Ford Fusion Hybrid Autonomous Cars will be used in the test, outfitted with pizza containers created by Domino’s partner Roush Enterprises designed to keep the pizzas warm en route, and to unlock when a customer types in their unique delivery code. The vehicles will be available to randomly selected Domino’s customers who order pizza in the Ann Arbor, Mich. area, with the ability on the customer end to opt in to receiving a delivery via AV when they’re selected. 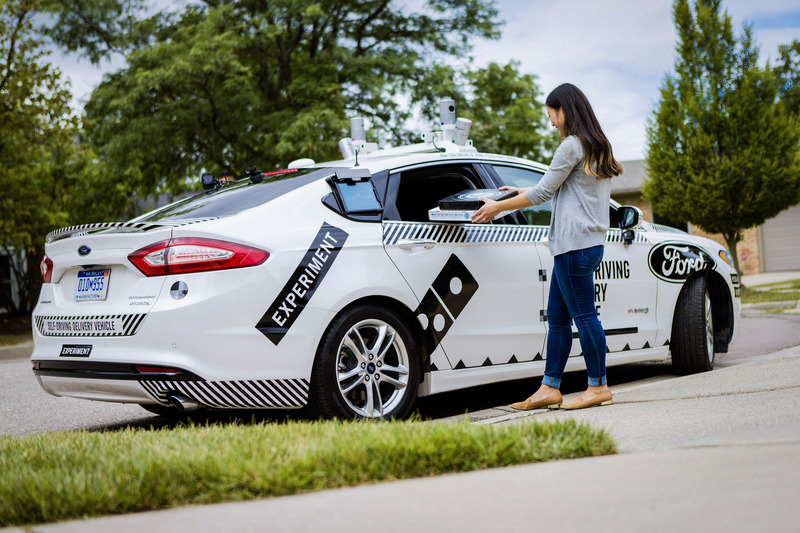 Both Ford and Domino’s will be using the test to see how people react to receiving pizzas via self-driving vehicles. Ford considers the customer and user experience aspects of autonomous driving technology a core part of the overall platform it’s developing, Ford Autonomous and Electric Vehicles VP Sherif Marakby tells me, and it’s using this real-world trial to test its assumptions and help it develop that aspect of the product it hopes to commercialize in just a few years’ time. This isn’t something that Ford is necessarily used to – it’s done a lot to improve its cars from a core technology perspective over the years, but it has decades of experience with its own categories of consumer to know what they want to some degree in each successive generation. With AVs, there’s a lot more up in the air. 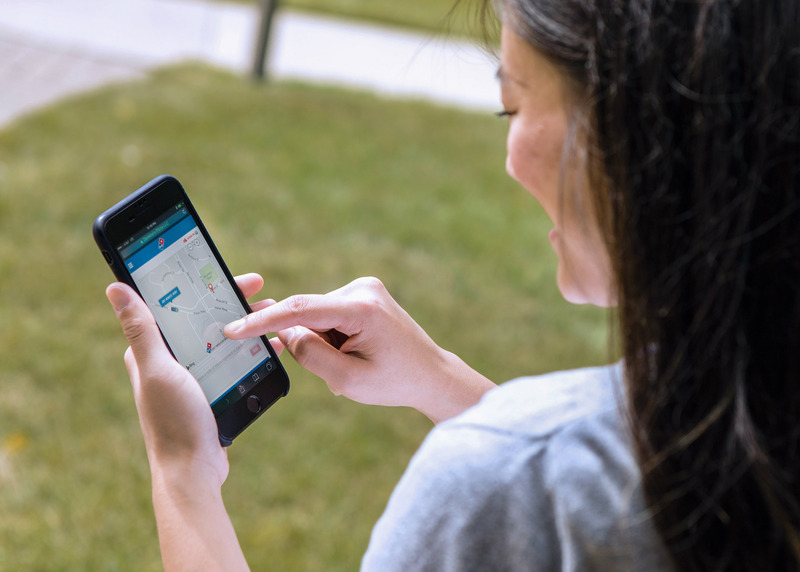 Once ordered, customers will be able to track their delivery’s progress through the Domino’s app. Domino’s and Ford have worked together on a number of projects in the past, including in building a way to order pizzas via Ford’s in-car SYNC software and apps platform. Their pre-existing relationship led to conversations around the potential for AVs in food delivery. That’s how the companies then decided to set up the “ethnographic research” project they’re beginning now, as Marakby describes it. Its aim is to figure out what would be needed in a go-to-market strategy in order to satisfy consumer needs and demands from an autonomous service like this one. Ford’s goal is still to build, at scale, autonomous fleets capable of servicing industries like this one in time for the 2021 time frame, Marakby says, and so figuring out what people want in a delivery or transportation AV, and doing it now while details like vehicle design are still being finalized is important. The autonomous cars used in this trial will still have someone behind the wheel – safety drivers will be present to ensure everything goes well and to observe, and take over when necessary. But the real test here isn’t for the drivers, or even the self-driving aspects of the self-driving cars used – it’s all about the end user, and what they think of taking delivery of their piping hot pizza pies from something other than another person.